The EIU makes no bones about it, its historical mission sounding much like an advisory role to rampant mercantilism. The EIU, goes a summarising paragraph of its goals, “helps business leaders prepare for opportunity, empowering them to act with confidence when making strategic decisions.” The unit aspires to analytical sharpness, “uncompromising integrity, relentless rigour and precise communication”. All this, in the name of suitably gathered “business intelligence”. The scores confirm this impression. 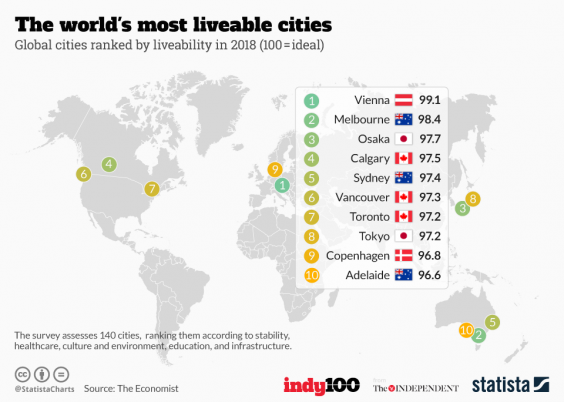 Last year, Melbourne attained a score of 97.5: 95.1 for culture and environment and scores of 100 for healthcare, education and infrastructure. This replicated the results of 2016. 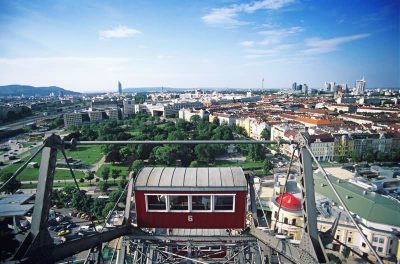 What pushed Vienna to the top was its improvement in the “stability category”. The competitive edge to such rankings is also illusory at best. Cities are treated like race horses, where “gaps” are closed and contenders overtaken at the last turn. For the urban watchers, the fall of Melbourne was nothing short of a relief. Clay Lucas noted indifference from many readers of the local paper, The Age, when the city first topped the liveability tag. On its seventh top ranking, seething anger was noted.